Construction Skill Development Council of India is promoted by Construction Federation of India (CFI), Builders' Association of India (BAI), National Highways Builders Federation (NHBF) and Confederation of Real Estate Developers Association of India (CREDAI). Mr. Ajit Gulabchand is the Chairman of the Governing Council of CSDCI having 15 Directors from construction sector. Mr. J. Ganguly is the CEO of CSDCI. 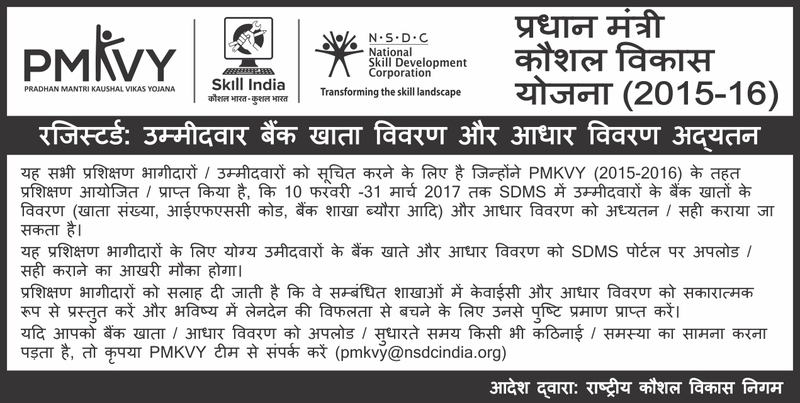 To develop a skill development plan for the Sector and maintain skill inventory. To work as an Assistant Electrician and perform inst allation, repair, and maintenance of LV electrical connections at construct ion sites temporary and permanent LV electrical connections at residential and commercial buildings. The individual will be engaged in laying conduits for LV single phase wiring and handle hand and power tools efficiently under supervision of level -4 electrician and above as per applicability. Also the jobholder should be able to engage the helper electrician level -1 suitably and productively. To work as an Assistant in Laboratory & Field Testing related to construction, materials and activities while attending and responding to the needs and requirement of the tasks under his trade senior level - 3 and above. To work as Semi - Skilled Mason to perform all relevant tasks under supervision and guidance of Mason Level - 3. He should engage the helper mason suitably and productively under his close supervision. To work as Assistant in Painter & Decorator trade while attending and responding to the needs and requirement of the tasks under his trade senior level-3 and above. To work as Assistant in Scaffolder Trade while attending and responding to the needs and requirement of the tasks under his trade senior level - 3 and above. 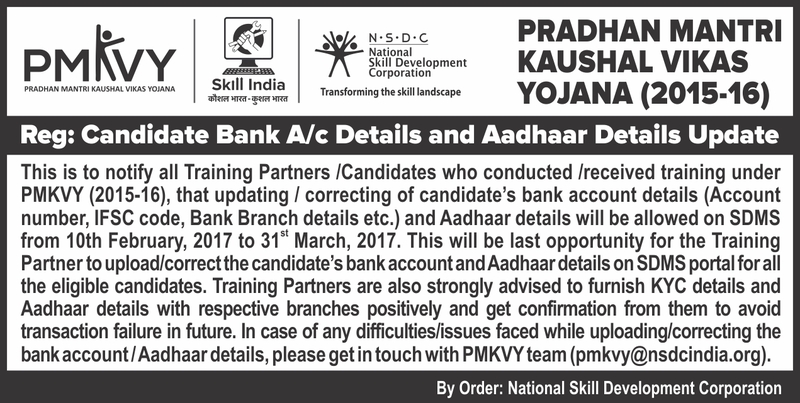 To work as Semi - Skilled Shuttering Carpenter to perform all relevant tasks under supervison guidance of Formwork Carpenter Level - 3. He whould engage Helper Shuttering Carpenter suitably and productively under his close supervision. To work as a skilled Bar Bender & Steel Fixer and per form work such as reading of routine drawing/sketches, bar bending schedule, cutting andbending of rebars using power tools, fabricate, place and fix reinforcement for RCC structures under supervision of level - 4 reinforcement fitter and above as per applicability. Also the jobholder should be able to supervise and engage the bar bende r and fixer level - 2 and below suitably and productively. To work as a skilled Carpenter - System and perform works such as making shutters, assembling conventional and system formwork for R.C.C structures such as columns, beams, slabs, walls, foundations and other similar structure under supervision of level-4 and above as per applicability. Also the job holder should be able to supervise and engage the level 2 and below suitably and productively. To work as Helper in Bar Bending & Steel Fixing Trade while attending and responding to the needs and requirement of the tasks under his trade senior levelâ€II and above. To work as Helper in Electrician Trade while attending and responding to the needs and requirement of the tasks under his trade senior level - II and above. To work as Helper in Laboratory & Field Testing related to construction, materials and activities while attending and responding to the needs and requirement of the tasks under his trade senior level - 2 and above. To work as Helper in Masonry Trade while attending and responding to the needs and requirement of the tasks under his trade senior levelâ€II and above. To work as a skilled Mason and perform routine masonry works such as brickwork, block work, laying paver blocks, random rubble masonry works & pointing and plastering with simple finishes by using appropriate tools and equipments. The job role also includes laying IPS & Tremix flooring and cementitious waterproofing works as per requirement, under the supervision of level-4 mason and above as per applicability. Also thejobholder should be able to supervise & engage the mason level- 2 and below suitably and productively. To work as a highly skilled Mason and perform works such as identifying, cutting, shaping, laying, fixing and finishing marble, granite and othernatural stones by using appropriate tools and equipments. The job role also includes cladding works with natural stones & grouting and sealing of stones and tiles under the supervision of level-5 mason and above as per applicability. Also the jobholder should be able to supervise and engage the mason level-3 and below suitably and productively. To work as a skilled Mason and perform works such as identifying, cutting, grinding, shaping, laying, fixing and finishing the tiles on floors,walls & roof surfaces using appropriate tools and equipment ,under the supervision of level-4 mason and above as per applicability. Also the job holder should be able to supervise & engage the level-2 and below mason suitably and productively. To work as Scaffolder - System and perform works such as erection, alter, maintain and dismantle system scaffolds, staircase and mobile tower scaffolds under supervision of level-4 Scaffolder and above as per applicability. Also the job holder should be able to supervise and engage the level 2 scaffolder and below suitably and productively.